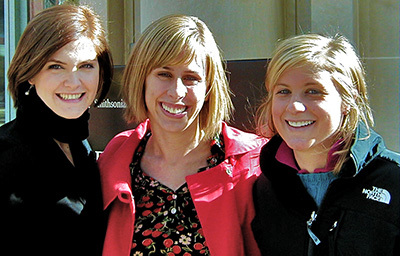 Interns with Smithsonian Associates are offered unique opportunities to learn about all aspects of educational programming for both adults and children, while contributing extensively to one of the world's great cultural institutions. Intern projects are designed to benefit both the Institution and complement the intern's own interests, skills, and experience. Internships are open to both undergraduate and graduate students. International students are welcome to participate however, interns coming from abroad will require appropriate visas to enter the United States. No specific credentials or work experience is required. However, applicants should have a strong interest in the Smithsonian Associate's Mission and in informal educational programming. Individual departments may be seeking additional qualifications; they can be found in the respective position descriptions below. The Smithsonian is not a degree-granting institution and therefore cannot award academic credit. However, interns can receive academic credit from their university or college for their internships and many U.S. colleges and universities will recognize academic work performed while interning at the Institution. We recommend that you contact your school's registrar, or career planning office for more information. Credit arrangements should be made in advance with your school advisor and your internship supervisor. If there are special terms, conditions or requirements associated with earning credit, you will need to discuss these with your Smithsonian Associates supervisor before you arrive. Smithsonian Associates internship appointments are unpaid and do not offer stipends for housing or travel. Students are encouraged to apply for resources outside the Smithsonian to support their internship; there are no internal sources of support available unless specifically listed. Apply online through the Smithsonian Online Academic Appointment System (SOLAA). Please carefully review the position description(s) prior to applying. Candidates will likely be asked to interview, either in person or over the phone, for their desired position. Do NOT submit your application until all necessary components are uploaded (i.e. transcripts, writing sample, resume). Once submitted, you cannot upload or change anything within the application. An unofficial or official transcript can be uploaded by first scanning the document and saving it as a pdf or jpeg. Please do not mail the transcript separately. Make sure that you click the “send email” button for reference letters. This triggers the system to email your references with instructions for uploading the letter. Please advise your references of this in advance. All necessary components of an application must be received by the deadline in order to be considered. This includes letters of recommendation. Applications received after these dates will still be considered on an as-needed basis. While we appreciate and applaud your enthusiasm and interest in serving an internship with us, please refrain from contacting us to check on the status of your application. Keep in mind that for most programs and projects, only those applicants selected will receive notification. If you haven't heard and need answers, send us an email and we will do our best to give you an update on the status of your application. Interns selected for appointment at the Smithsonian Institution will be required to undergo a security background investigation and fingerprinting through the Office of Protection Services before they are accepted into an internship. 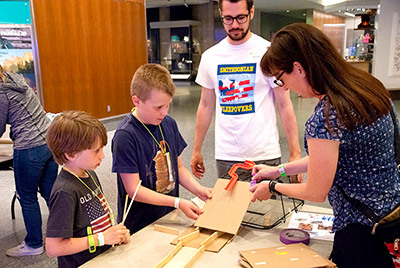 Assist in coordinating all aspects of the Smithsonian Sleepover program such as set-up, supervising craft activities, customer service, and maintaining supplies. Sleeping over in the museum is a requirement. View position details. Support staff in the Development Office through creating marketing materials, drafting grants and sponsor proposals, maintaining website text, and conducting research on funding sources for Development activities. View position details. Support the Discovery Theater staff in all aspects: house management, ticketing and group sales, administration, and production support. Assist with research, booking, budgets, logistical set-up, contract negotiation, space rental, and event implementation. Assist with staffing duties during some evening and weekend programs. View position details. Support Marketing staff editing images and HTML to be used in e-mail marketing campaigns and on social media sites as well as using web analytics software to research results from marketing campaigns. View position details. Assist with research, booking, budgets, logistical set-up, and marketing. Provide program support during some evening and weekend programs, including box office and house management duties. View position details. Assist in coordinating all aspects of the SMITHSONIAN @ 8 program such as logistical support, customer service, event implementation, marketing, and research. View position details. Attend events and create new content on social media applications highlighting the activities of the Smithsonian Associates and represent the Smithsonian brand. View position details. Support the Smithsonian Summer Camp team by assisting with the daily running of the 9-week camp program, supervising campers and Youth Teacher Assistants, upkeep of rosters and camper paperwork, parent communication, and supply organization and procurement. View position details.